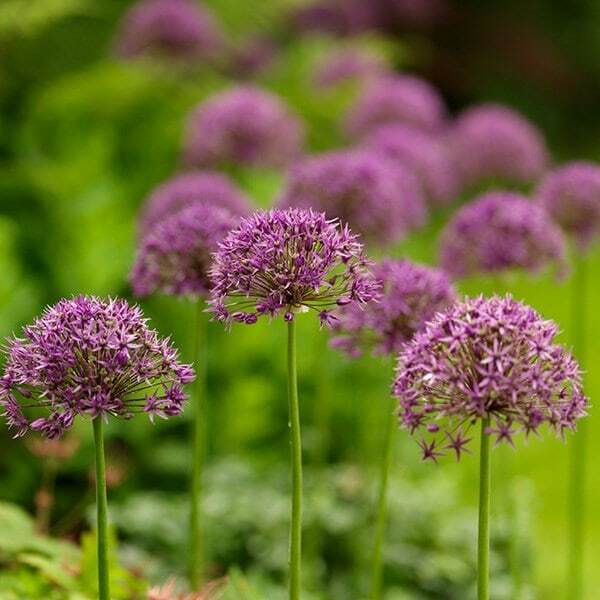 Elegant, slender stems are topped with somewhat flat-bottomed, dome-shaped clusters of violet flowers, which mix easily with most shades of blue and purple. 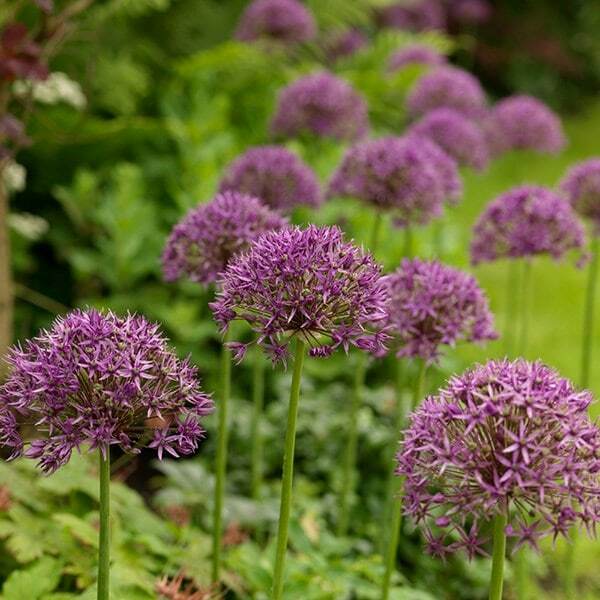 Team up with lower growing perennials (geraniums are ideal) that will mask the alliums foliage, which usually dies back before the flowers appear. 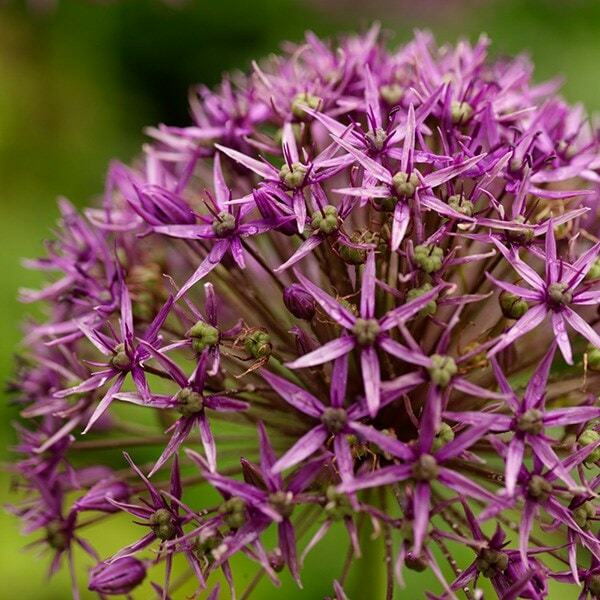 Garden care: Plant bulbs 15cm deep and 15cm apart to enjoy the full effect of the flowers. Avoid excessive soil moisture, and split and divide large clumps in autumn or spring. Plant in amongst other border plants to create little jewels of colour. Great seed heads that last for ages. First time planting alliums and I couldn't be more pleased. These are beautiful flowers that are easy to grow.